The Law Weekly was founded in 1914 by late Sri V. C. Seshachariar, a doyen of the Madras Bar. He was the Proprietor-Editor till his demise in 1936. Later after the demise of its founder, his son Sri V.C. Vasudevan was in charge from 1937 till 1966. 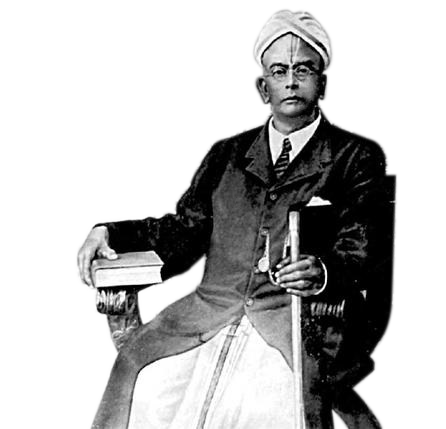 The Law Weekly was founded in 1914 by late Sri V. C. Seshachariar, a doyen of the Madras Bar. He was the Proprietor-Editor till his demise in 1936. Later after the demise of its founder, his son Sri V.C. Vasudevan was in charge from 1937 till 1966. He also started the other Journal called "The Law Weekly(Criminal)" in 1966 which has been well received throughout our State, by practitioners in the Criminal Courts. After his demise in 1966 the journals were run by his sons Mr V.C.Srikumar as the Editor from 1972 till 2015, when he passed away and Mr.V.C.Ramachandran as its Publisher till his demise in 2016 . We also advanced one step further in the path of progress, by reason of the commencement in 1984 of a separate journal for reporting judgements under the Writ Jurisdition , the Writ Law Reporter, a monthly. Mr. V.C. Janardhanan, Advocate is currently the Publisher and Editor of all the three Journals. It is our duty to acknowledge the help and patronage we have received in this matter from the Honourable Judges of the High Court and all the members of the Bar in our State. On our 104th year of service we are available on the Web, on a separate DVD desktop version with updates online every week. The Journal can be accessed on Mobile phones and tablets.